It’s good to get out. From behind your laptop. Of your flat. Of your comfort zone. As a writer (or anyone else who enjoys creating stuff), it’s healthy to see other people’s worlds – to see life through other people’s eyes. Aged ten, I was a bit of a gamer. Consoles. Nintendo – SNES, N64, Gamecube. I liked nothing more than spending hours taking Zelda towards his Ocarina of Time, rolling Mario down ski slopes, and creeping Bond around Russion silos. I was a gamer, engaged in the worlds created for me. Today, I play a bit of Fifa. But nothing more. Narrative video games no longer play any part in my life. So when my flatmate (a graphic designer and fairly avid gamer) asked if I wanted a ticket to BAFTA Games Question Time, I said yes. ‘It’s all about the writer’s role in narrative video games,’ he told me. Memories of Zelda, Mario and Bond came flooding back. At BAFTA, I learned a lot about these things called ‘writers’. Sound familiar, writers for business? Like a writer for business, who understands brand, design, technology, customer habits, web development and more, right? 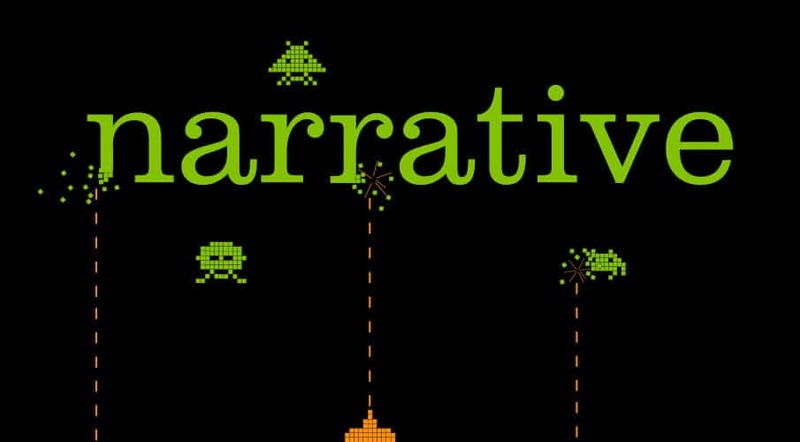 Narratives bring people into your universe, the panel agreed. And it’s a writer who’s best placed to craft that narrative. We’re not just here to make sense of all the confusion that’s come before. We should be there at the beginning – so we don’t just write the words, but help create every aspect of the story. ‘If you have a writer in your team, you might just be more lucky than if you don’t,’ concluded Rhianna. It’s the same for all writers – don’t you think?